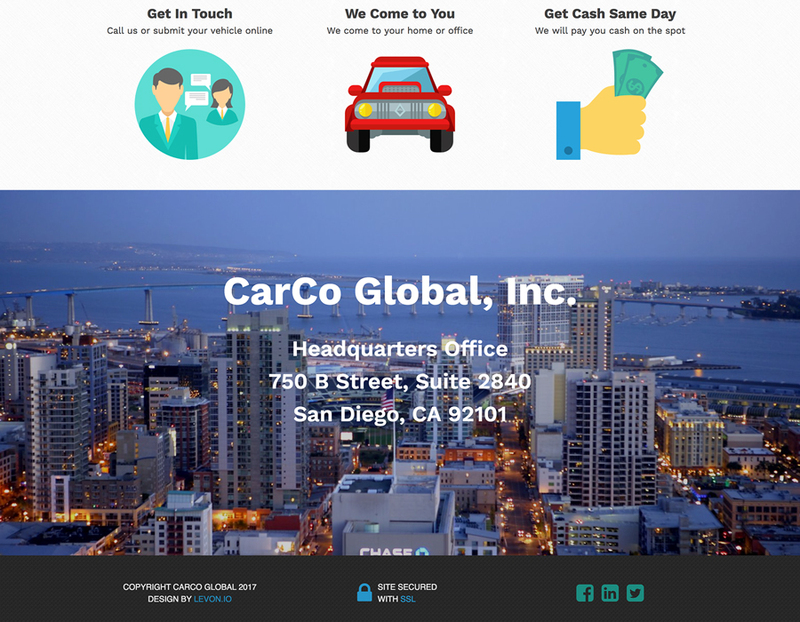 CarCo Global will purchase your car for cash. The CarGo global website is a custom WordPress theme that allows users to specify the details of the car they want to sell while completing a form. 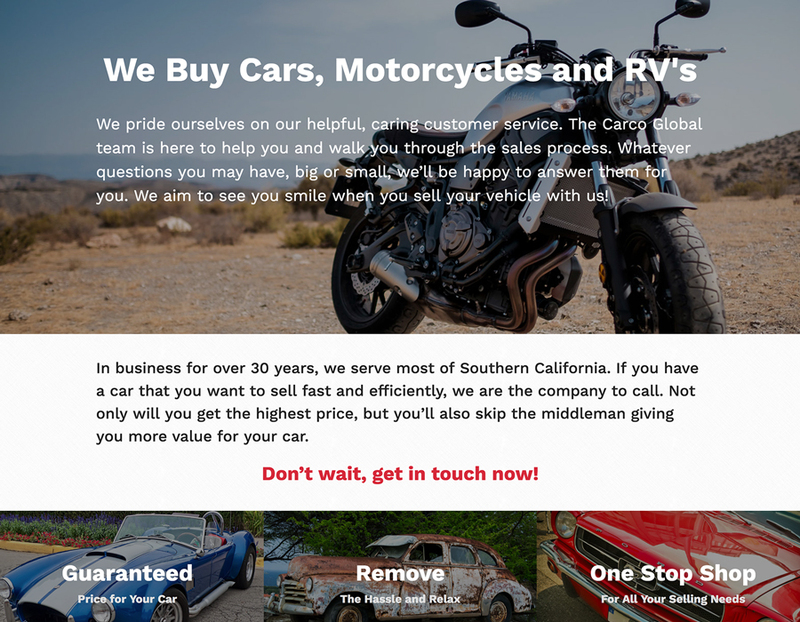 This form is fully custom, and it pull automobile data from a custom table in the WordPress database to allow the user to define the Year, Make, Model and Trim of the vehicle they want to sell. The dropdown selects for these choices will auto populate based on previous choices. 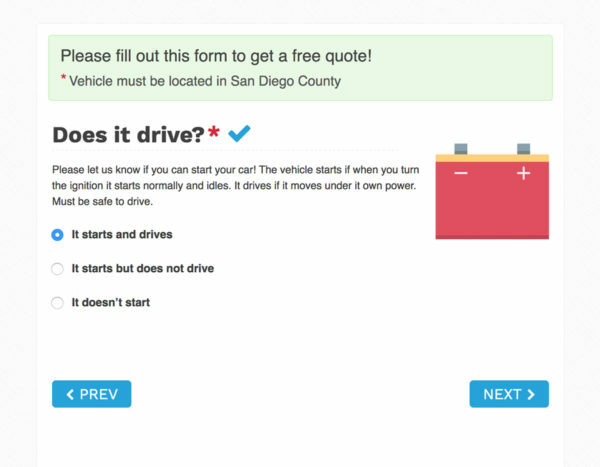 The user will then enter more details about the vehicle before submitting the for. 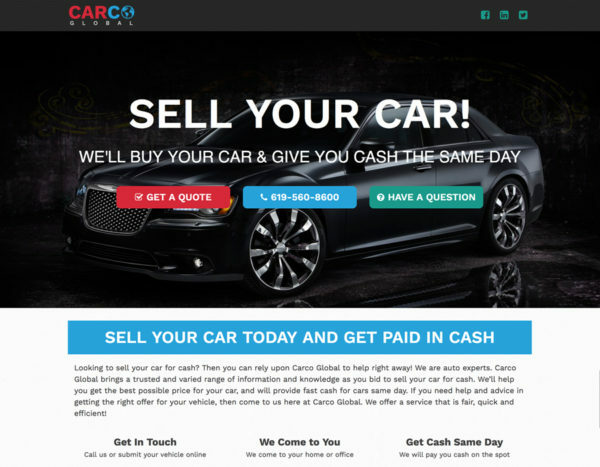 This site also makes extensive use of the Advanced Custom Fields Pro plugin to allow the site administrator to control the content and images of the site.